“Many Christians tend to live short of their original capacity because of ignorance of who and what they carry on their inside. Gladness Gold puts out this new sound which according to him is a revealer of a new part of him which not many people have known. He comes out rapping on this one and believe it, you’re gonna love this new sound which is a perfect blend of Afro pop and trap. 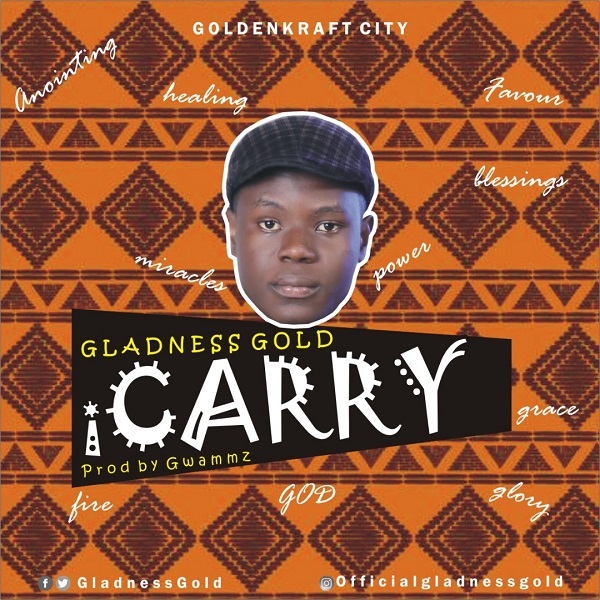 Gladness Gold currently lives in Port Harcourt City, Nigeria and is a Singer, Songwriter, Musician and Musicologist. He is the converner of the annual music worship concert; Sweet Smelling Savour which holds every year in Port Harcourt. This is his fourth song release, and his second for this year after releasing “Shower your Love” earlier this year featuring Iyke d Combophonist.